Baywalk creates, communicates, and delivers value for small business and non-profit clients. Our principal Dean Tripodes, MBA — teaches graduate and undergraduate marketing at the University of Phoenix's southern California campuses. Data collected: Demographic including geographic location, Psychographic (Greek festival fans), Behavioral (usage frequency). Questions include range/series and open ended comment fields. Promotion Theme: Greek Yogurt marketing survey. Goals: Building Baywalk's proprietary market research of the Greek American and Greek Canadian demographic segment. Assist consumer food companies seeking marketing research in this area. Media Mix: Hollywood Greeks e-mail lists, Facebook fan page, Twitter, and LinkedIn. Reach: Greek Americans in all United States segments. See Greek North American Demographic Segment for current reach. Repetition: Reminder banner ads promoted with other campaigns to encourage the target audience to take the survey. 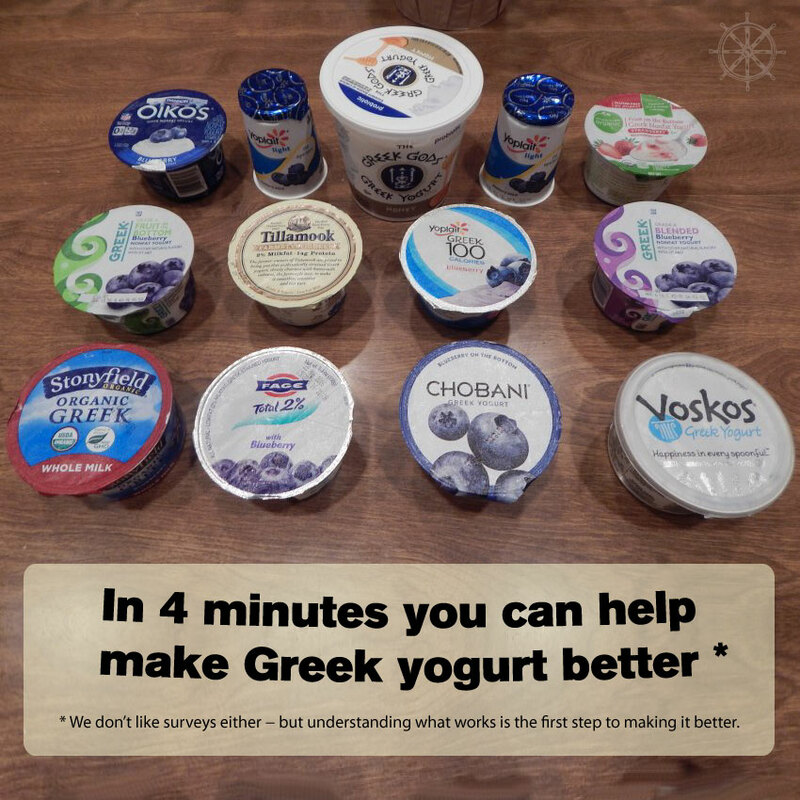 Extra: The direct email subject line — "In 4 minutes you can make Greek yogurt better"
Theme: Greek Yogurt manufacturers and retailers should not forget to target the Greek American segment. Second in a series targeting the food industry. Media Mix: Hollywood Greeks Facebook fan page, Twitter, and LinkedIn. 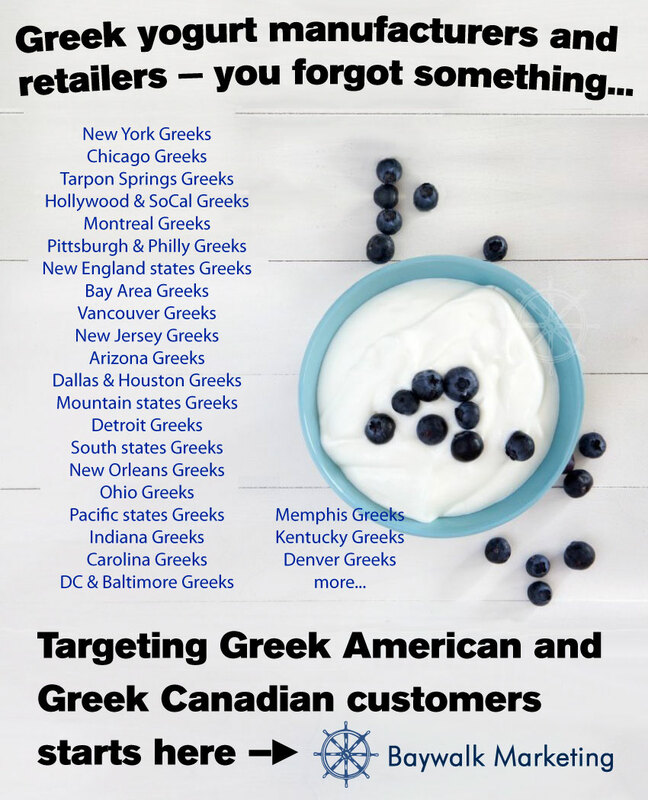 Theme: Greek Yogurt manufacturers and retailers should not forget to target the Greek American segment. First in a series targeting the food industry.